Gold has been a favorite investment vehicle of the wealthy since time immemorial. In fact, of all the precious metals, gold ranks at the top for many investors. Gold is portable, fungible, and can be exchanged virtually anywhere in the world. Nearly everyone has their own style of investing in gold, but the method that is best for you will depend on factors such as how much you have to invest, the amount of risk you can tolerate, your financial goals, and the length of time you intend to hold gold in your investment account. Before you buy gold be sure you understand how the gold market works and what you need to look out for. This guide, Gold Scams Exposed, can help you make better purchases. The book will tell you how gold dealers work and how they make their money. Knowing that, you will be in a better position to make smart buys. Buy gold bullion. If you are looking to make a long-term investment in gold, bullion might be for you. 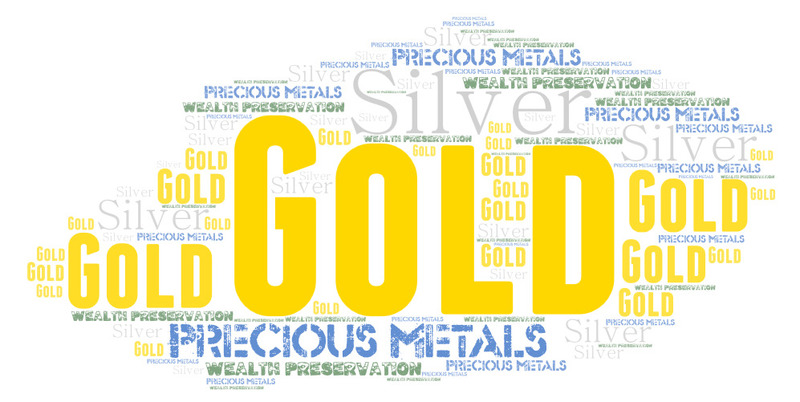 Bullion means the item is valued based primarily on the gold it is made from. Central banks around the world buy gold as a hedge against economic instability. In periods of high inflation the value of gold in that local currency tends to rise over time. When the price of gold rises with inflation it is functioning as an excellent investment, perhaps offsetting losses taken elsewhere in your portfolio. Buy gold bars. You can also buy gold in bar form. These are usually between 99.5 and 99.99 percent fine. The most popular gold refineries are PAMP, Johnson Matthey, Credit Suisse, and Metalor. You can see where gold bars come from by looking for the stamp placed on the bars by the refiner. Buy gold jewelry. Gold jewelry is less likely to be a good investment to make. The major downside of gold jewelry is that you pay a premium for the craftsmanship in addition to the actual gold. Another disadvantage of buying gold jewelry as an investment is that anything below 14 karats is below investment quality, so it would need to be refined before being suitable for the investment market in gold. On the other hand, estate sales and other venues often have gold jewelry for sale at very low prices, which can lead to very good value. Further, older pieces can be very valuable not only because of the gold, but because of the craftsmanship as well. Buying gold in this way can be profitable and fun. Choose your weight. Obviously, the heavier the gold product is that you buy, the more it will cost. It pays for you to determine beforehand the amount of gold you want to buy. It is also an important consideration when you decide how you are going to store the gold after you buy it. It stands to reason that if you buy a larger amount, you probably won’t want to keep it in your home without a safe. Larger sizes above one ounce can be harder to sell than the one ounce sized coins and rounds. “Rounds” is the term given to coins that are not marked for circulation as currency. Determine the current price. Before you make any gold purchase you should check the price of gold on the online market, not just the pricing from shops around your area. This is one of the best ways to determine whether you are getting a good buy for any gold that you want to purchase. 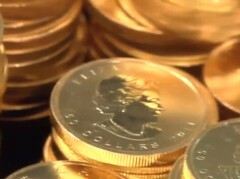 You will pay a small premium over the spot price when you buy gold coins or bullion bars. Contact at least three dealers to check prices to ensure you are getting full value for your money. Buying from dealers. Always plan to pay at least spot market prices plus a premium of 1 percent. Make sure that you get a receipt for your purchase. Also make sure that you get a date for when your gold will arrive. If you buy your gold at an auction, plan on paying a buyer premium as well as sales tax. There are many gold dealers online. That is a great way to easily check prices and ensure you are dealing with a top-tier company. Here is a list of gold companies with ratings and reviews. One of the better online gold dealers is Regal Assets. If you can make a purchase of over $5,000 or if you are ready to set-up a gold IRA of at least $10,000 they are the group to work with. A gold IRA is a self-directed IRA that can own and hold physical precious metals such as gold, silver, platinum or palladium. It is an investment vehicle used by many to protect their wealth. Be storage safe. Your investment in physical gold needs to be stored in a safe place. After all, no matter how good the price was that you paid, it’s of no value if someone comes in and takes it from you. You should always make sure that your gold is stored in a safe or safety deposit box in a nearby location. You can also pay a company to store it for you. If you are willing to assume a higher risk for your investment, you might want to consider investing in gold futures. Basically speaking, gold futures allow an investor to profit from movements in the price of gold at a future date. There are many savvy investors who make considerable amounts of money with futures, although these are far from beginners in the game. Investing in gold futures requires you to understand how the futures markets work and you need to understand the price trends in gold correctly. Investing in precious metals futures. 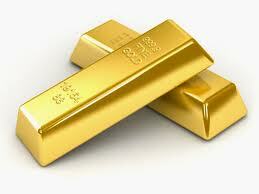 If you decide that you want to try gold futures, open an account at a commodities trading firm. By investing in futures, you can control a larger amount of gold than you have cash to cover it. You can use leverage, Be sure that you invest no more than you can afford to lose, since if the price drops, you will need to pay your loss as well as any commissions that are added. Buying a gold futures contract. Agreeing to purchase futures is a legally binding contract. For this, you sign a contract stating that you will buy your gold at a future price. Buying futures is done in one of two ways, via COMDEX (Commodity Exchange) and the Chicago Board of Trade (e-CBOT). When your contract ends. Now it’s a waiting game. When your contract ends you can determine whether you can collect your earnings or pay your losses. This is not an investment or trading method for beginners. Exchange Traded Funds, also called ETFs, are a way to track the price of gold or another precious metal. ETFs can be purchased at your local stock broker or through your online trading account. ETFs differ from other gold investing in that you do not own the underlying metal you are investing in. There are a number of ETFs to choose from. Here are some of the ticker symbols to consider: GLD – SPDR Gold Trust, IAU – iShares Gold Trust, SGOL – ETFS Physical Swiss Gold Shares, DGL – PowerShares DB Gold Fund, and DGP – PowerShares DB Gold Double Long ETN. There are many other gold ETFs to consider. The video that follows below describes why people choose to set-up a Gold IRA to protect their wealth. There are many folks who have purchased gold for investment. Good investors understand the potential rewards of gold and they understand the risks too. Just as is the case with any investing, the first thing you should determine before you invest is why you are doing so. Your investing goals will help you determine how you reach them. Fortunately, for many investors, gold has proven to be an excellent way to reach their investment goals. Armed with some knowledge about what you are doing and some sound advice from a qualified advisor, investing in gold can be of great benefit to your portfolio. Many people have looked at the state of the financial markets and the massive money printing by the US Federal Reserve Bank and have then set-up a gold IRA to hold a portion of their retirement or investment accounts. Some see a holding of physical gold in an IRA as “central bank insurance”. That’s to protect their wealth should the central bank not be able to manage the massive currency printing that is occurring and the explosion in the balance sheet of the Federal Reserve. There are a number of useful links on this page, Give the links a look to help you better understand the gold market and more wisely invest in gold.